One of Alfred Hitchcock's very best efforts, REAR WINDOW is a crackling suspense film where the protagonist is a seemingly ordinary man who gets himself in trouble for his secret desires. Laid up with a broken leg, photojournalist L.B. Jeffries (James Stewart) is confined to his tiny apartment. 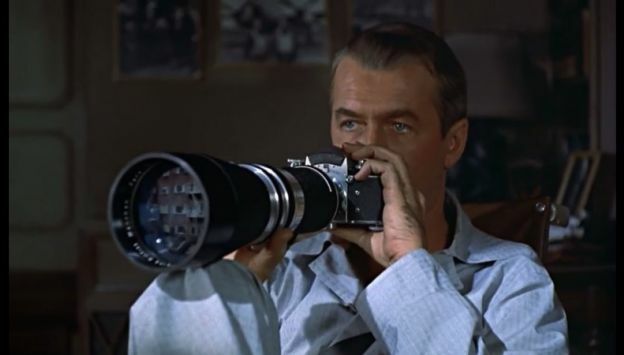 To pass the time between visits from his nurse and his fashion model girlfriend (Grace Kelly), the binocular-wielding Jeffries stares through the rear window of his apartment and casually concocts a scenario in which a neighbor across the courtyard has murdered his wife. Trouble is, Jeffries' musings may just be the truth.